Erika’s photos are inserts of tranquillity, scattered in withdrawing realities. She’s consuming peaceful moments wishing to pass them on, thriving on their “raison d’etre” in order to spiritually grow. But if there is no serenity and calm, she will just pass them by. For the greater part of her life, Erika Remnant, daughter of a Swedish diplomat in Japan, a prototype of the Scandinavian beauty and elegance herself, has been caught up in the rich net of Asian vibes and values. Trying to conform to them just enough to reach a closer view, she used her opportunities intuitively, as they came in her professional career of a model. Confronted to the camera during long and tense hours of posing, she became aware of countless technical conditions which outset the image of perfected moment in an especially arranged situation. It’s only under a carefully balanced light that fiction of the “world of beauty, feminity and elegance” is ready for consumption, and whatever is not confirming a chosen illusion, is thrown as “useless” and ends up in dust. At first Erika started doing her own photos as a part of the press-release coverage for a famous Japanese rock singer, but as soon as her connection with his hype has weakened, an honest desire to seek for subjects that are further from simulation of acted and performed, but living merely a beauty on their own, has prevailed. 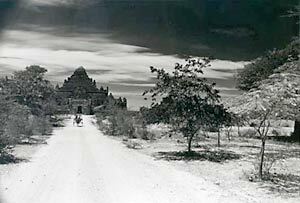 And although there is no specific year in which she has departed on that journey, her interest was more and more gathering around simple themes she “framed” without any make-up and frenzy, during her trips throughout Asia, primarily Bhutan and Burma. feelings modify technical norms and formal visual standards is what makes Erika’s photos so captivating today. It is not the narration itself that measures the volume of her experience, but a free flow of her mind towards perceived objects, transforming the moment into a more elusive reality. 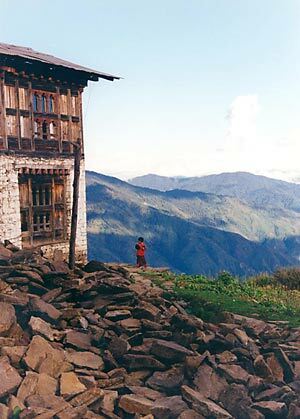 Erika is breathless when catching beautiful colour “collages” of painted walls and wood carved details on temples and houses in Buthan trying to dignify their spontaneous ethno charm into a qualified aesthetic value. Once a model trained to subdue to someone’s picture of herself, she is not any more polarized, but in harmony with people she meets on her way, as the wisdom of their “outcast” lifestyles appeals to her open spiritual orientation. Approaching a Buddhist temple or a beautiful mountainous rice-field view, Erika records what her mind intuitively understands. This refined but unpretentious interference with Asian surroundings has grown into a very personal value which gives her photos an intensely humanizing note.